Russia’s largest carrier Aeroflot and its subsidiary Rossiya Airlines have reserved for another year their right to operate 32 international routes inherited from their defunct competitor Transaero, Russia’s Federal Air Transport Agency announced in a statement. The carriers appealed to the national regulator to extend their right to operate the total of 34 routes. Their request was satisfied almost entirely. The only two requests that were turned down, are Istanbul and Nha Trang (Vietnam). Aeroflot will thus continue flying from Moscow to all of the 17 international destinations it’s got in its current network – Aktau, Aktobe, Almaty, Astana, Atyrau, Karaganda and Chimkent in Kazakhstan, Alicante and Malaga in Spain, Venice, Milan and Rome in Italy, Lyon in France, Beijing in China, Phuket in Thailand, Tashkent in Uzbekistan and Tel Aviv in Israel. Rossiya’s prolonged endorsements include routes from Moscow to Antalya in Turkey, Bangkok and Phuket in Thailand, Barcelona in Spain, Goa in India, Dubai in the OAE, Salzburg in Austria, Iraklion in Greece, Larnaca and Pathos in Cyprus, Paris in France, Prague in the Czech Republic and Rimini in Italy, as well as two Italian destinations from St. Petersburg – Milan and Rome. 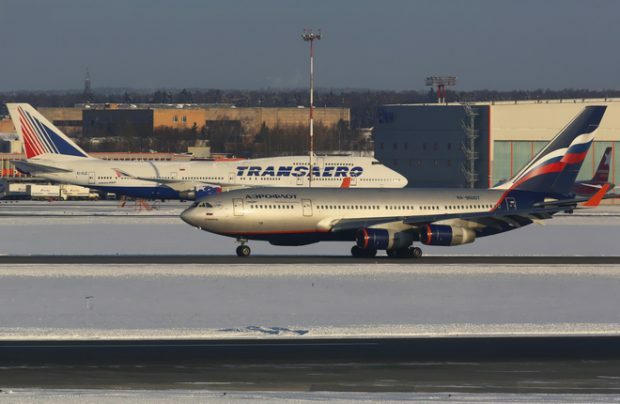 Aeroflot’s general director Vitaliy Saveliev repeatedly emphasized that his airline claims the rights for Transaero’s international routes, because it took upon itself the obligation to serve the passengers that held Transaero tickets after its collapse. In a recent interview to TASS Saveliev reminded that these measures cost Aeroflot 17 billion rubles (over $288 million), but only managed to gain 3 billion rubles back. In his letter to FATA, which accompanied Aeroflot’s request to reserve Transaero’s routes for Aeroflot and Rossiya, Saveliev estimated that the carrier was calculating the return of its expenses by mid-2021, TASS reports. Tranaero, which was Russia’s second largest carrier by traffic, stopped operations and went out of business in October 2015. Its AOC was cancelled due to heavy debts. Out of Transaero’s 156 international commercial rights Aeroflot inherited 56, but gave up 13 in the spring of 2016. In the fall of the same year FATA granted Aeroflot with 37 destinations. Three of these – Moscow- Dheli – Singapore, Moscow – London and Moscow – Tbilisi were not included in the list this year.